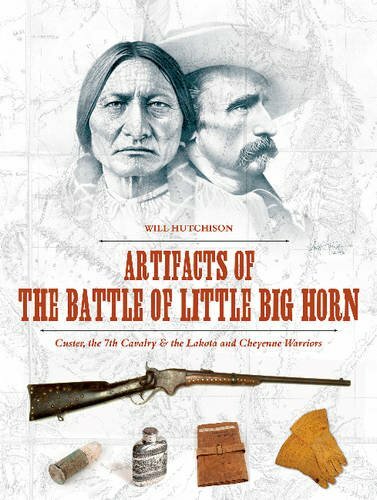 This book is a first-of-a-kind comprehensive, photographic essay regarding surviving artifacts of Custer and the Battle of the Little Big Horn – some never before published. Years were spent photographing and acquiring artifacts in museums and private collections, which are presented here in vivid, high-resolution color photographs, shot from various angles with the researcher and collector in mind. The photographs are catalogued under chapters devoted to the battle, Custer's 7th Cavalry, and the Lakota and Cheyenne warriors who fought them. Hundreds of photographic images accompanying the chapters are filled with informative descriptions regarding physical properties, history, origin of the items, and the stories behind them. This definitive work will provide a valuable resource for military researchers and historians, as well as an aesthetically stunning photographic essay to compliment any collection or library.